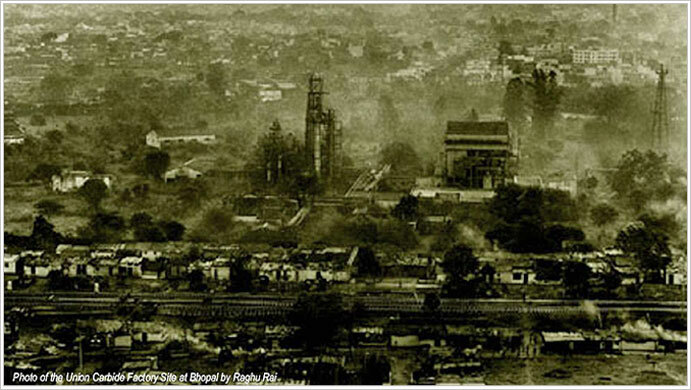 Bhopal is known the world over as the city that witnessed the Union Carbide Gas Tragedy in 1984 and continues to struggle with the fallout of this disaster. The significance of the disaster however, extends beyond Bhopal. The factory site of the disaster, now an urban void in a dense neighbourhood of Bhopal lies abandoned and the stories that it contains, lie untold. Over the course of two weeks in January-February 2011 students and experts from multiple disciplines and backgrounds will converge in Bhopal and work together with local citizens in an attempt to understand the tragedy and its site in its conflicting interpretations. Through exploring the possible transformation of the site into a place of remembrance and a resource for empowering the local community the participants will also address the broader issue of how heritage sites with a troubled and troubling legacy can contribute to a better understanding of our times. BHOPAL2011 looks at the possible protection, decontamination and rehabilitation of Union Carbide Factory as potential to revitalize the precinct and the community around the site and explores the possible approaches and mechanisms to do so. In exploring key issues linked to the emergence of the Bhopal Gas Tragedy Site as a cultural heritage site, BHOPAL2011 sets the ground for an collaborative and creative dialogue between disciplines of cultural heritage, architecture, urban design and applied arts. Last date for registration is December 1, 2010. Papers are invited for the following (but not limited to) themes and proposals for organizing sessions are welcome. The last date of submission of abstracts is November 15, 2010. Does resilience thinking and architecture really mix? The answer is a clear “yes” if you ask urban planner Marco Miglioranzi, and Matteo Giusti, Master student at the Stockholm Resilience Centre. Together with the German based firm of architects N2M, they have developed two projects led by resilience concepts. 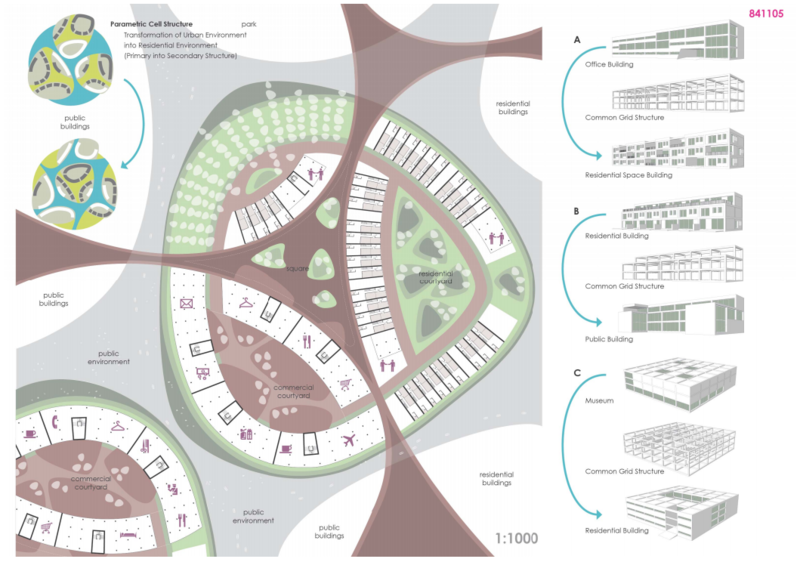 Their first work, based on social-ecological systems, was preselected in the EuroPan10 competition. The second one, “A Resilient Social-Ecological Urbanity: A Case Study of Henna, Finland” with an emphasis on urban resilience, has been published by the German Academy for Urban and Regional Spatial Planning (DASL) and also featured by HOK – a renowned global architectural firm. The project proposes a wide range of theoretical solutions based on urban resilience which find practical application in Henna’s (Finland) urban area. Governance networks, social dynamics, metabolic flows and built environment are separately analyzed to ultimately restore, and maintain over time, the equilibrium between human demands and ecological lifecycles. But the project also challenges current urban planning practices as it states the city’s future requirements to be unknown. As a result, it identifies “the development-process as a dynamic flow instead of a static state”. Time scale for urban planning is therefore included within an evolving spatial design. All these theoretical premises ends up in Henna’s planning. This includes an energetic smart grid based primarily on Enhanced Geothermal Systems (EGS); community-managed greenhouse areas to enhance food local self- reliance; low-diluted sewage system to reduce water consumption; efficient reuse of municipal solid waste to reach the Zero waste goal; and a problem solving centre to analyze ever-changing social ecological demands. Time is included in space, people in their natural environment, urban services in ecological processes. An harmonious cycle of growth and decays. In the late 1990s James Scott wrote a very interesting book Seeing Like a State: How certain schemes to improve the human condition have failed about the failure of bureaucratic planning to accomodate local-tacit knowledge that doesn’t easily fit within bureaucratic systems. The failure of bureaucratic management to cope with social-ecological diversity is a strong theme in studies of common property and human ecology. I read the book from this perspective informed Holling’s pathology of natural resource management, and found much in the book that was congruent with the pathology. From descriptions of scientific forestry in Germany that simplified the forest to an extent that foresters had to encourage local school children to raise bees for pollination. Other have read the book for different perspectives, and their responses are interesting. Below I quote from the comments of an economist and political scientist who noticed different parts of the book. … [the] larger point [is that]… [i]n each case, the necessarily thin, schematic model of social organization and production animating the planning was inadequate as a set of instructions for creating a successful social order. By themselves, the simplified rules can never generate a functioning community, city, or economy. Formal order, to be more explicit, is always and to some degree parasitic on informal processes, which the formal scheme does not recognize, without which it could not exist, and which it alone cannot create or maintain (p. 310). Yet even as he makes his central points, Scott appears unable to make contact with his intellectual roots–thus he is unable to draw on pieces of the Austrian argument as it has been developed over the past seventy years. Just as seeing like a state means that you cannot see the local details of what is going on, so seeing like James Scott seems to me that you cannot see your intellectual predecessors. That the conclusion is so strong where the evidence is so weak is, I think, evidence of profound subconscious anxiety: subconscious fear that recognizing that one’s book is in the tradition of the Austrian critique of the twentieth century state will commit one to becoming a right-wing inequality-loving Thatcher-worshiping libertarian (even though there are intermediate positions: you can endorse the Austrian critique of central planning without rejecting the mixed economy and the social insurance state). But then comes the chapter’s final sentence: “Understanding the history and logic of their commitment to high-modernist goals, however, does not permit us to overlook the enormous damage that their convictions entailed when combined with authoritarian state power” (p. 341). What Scott argues, as I understand it is as follows. First – that processes of rationalization lead to the destruction of metis, or local knowledge if you would prefer, and the prioritization of codifiable, quantifiable, epistemic knowledge. Second, that this process involves obvious and (sometimes quite important) trade-offs, but may often be worth it – e.g. there is no point in idealizing serf-like conditions that preserve local knowledge at the expense of human freedom. Third, that the real problem is when the creation of epistemic knowledge is combined with high modernist attempts to engage in social engineering. This arrives at similar conclusions to Hayek etc about how terrible collectivization processes are, but from different premises. Specifically, what Hayek etc would see as the result of state planning, Scott sees as the result of broader forms of rationalization (hence, perhaps, the linkages to Foucault that Brad worries about) when they coincide with a certain kind of state hubris (the hubris doesn’t necessarily follow from the creation of codifiable knowledge). Thus, I think there is a argument against the Hayekians which is not very far from the surface of Seeing Like a State and which can be drawn out quite easily. First – Scott makes it clear that the processes of market development and of state imposition of standards goes hand in hand. Brad talks about how the very first example that Scott draws on – German scientific forestry in the nineteenth century – is intended to show the failures of state planning. But as Scott makes clear, the relevant failures are driven as much by the market as by the state – Scott writes about how the “utilitarian state could not see the real, existing forest for the (commercial trees)” and about how the forest as a habitat disappears and is replaced by the forest as an economic resource to be managed efficiently and profitably. Here, fiscal and commercial logics coincide; they are both resolutely fixed on the bottom line. This is an important sub-theme of the book, and indeed of our understanding of how states and markets have developed hand-in-hand. Sometimes, the state has sought to impose its view for reasons of its own interest and survival (whether this be the promotion of ‘public order,’ the increase of fiscal revenues or whatever), sometimes at the behest of market actors who are interested in standardization, and sometimes for rationales that blur these two together. This leads on to the second point – that a lot of what Scott argues is correct. His claim, as I read it is less about the specific problems of state-created institutions, than the ways in which a large variety of abstracting institutions or standards miss out on, and perhaps undermine important forms of local knowledge. As I understand him, any standards sufficient for impersonal exchange are likely to abstract away the actual relationships that people have with their environment. Here, Scott is less a closet-Hayekian than a more-or-less-overt Polanyian, who develops some of Polanyi’s arguments (especially his claims about the institutional consequences of long distance trade, and the economy as an instituted process) to make them sharper and more interesting. Thus, there are trade-offs. Italian firms in small-firm districts are excellent at gradual innovation and refinement of knowledge – in part because of their reliance on metis. They are not so good at producing profound, industry-changing forms of innovation. They also tend to stick closer to home than their equivalents in other countries (somewhat ironically, they replicate the logic of Avner Greif’s mediaeval Maghribi merchants far more than the behaviour of his Genoese traders). …This allows me to come back to the roots of my disagreement with Brad. Brad is a fan of markets, and believes that they contribute in very important ways to human freedom. I agree with him on this. But I think that Brad sometimes underemphasizes the real trade-offs that markets may involve, and overstates his criticisms of people who are concerned with these trade-offs. Sometimes, perhaps often, these trade-offs are relatively slight – as Brad says, many forms of redundant local knowledge can be discarded without compunction. Sometimes, these trade-offs are real, but still worthwhile – while we should acknowledge the costs of markets, we should acknowledge that the benefits of introducing them are higher. And sometimes they are not worth paying – there are areas of social life where marketization has more downsides than advantages.